If we trace the development trends of the global financial market over the past years, we can single out several main areas of interest to promising brokers. The first is that small services are actively interested in binary options, cryptocurrencies and the creation of various trading robots. Of course, they have their own clients, but fraudsters also do not mind making money using similar financial instruments. As a result, real marketplaces lose users, profit and rating. The second is medium-sized companies that hold more conservative views. They provide access to currencies, indices, commodities, etc. Classical brokers providing the same set of assets 5-10 years ago. The most “advanced” companies have added several popular cryptocurrencies. Representatives of this group will always have their clients who also do not trust new directions. And the third development option is a decent capital broker who can fulfill the strict requirements of European regulators. Exante is a typical representative of this group. She will be the main object of this review. What can an Exante customer expect? Before proceeding directly to the analysis of the broker’s activities and the services it provides, it’s necessary to clarify one legal issue. Exante is a trademark owned by XNT LTD (a limited liability company registered in Malta). This group closes another firm – EXT LTD, also LLC, but with Cyprus registration. Her field of activity is investment. Let every reader draw his own conclusions about such a structure, but no one hides this information, it is in many public sources, including the official website of the broker. The application developed for Exante is a unique product of the best programmers of the company. After registering on the web resource and verifying personal data, customers can use the office without fear of intruders. The administration guarantees the safety of project participants. Despite the huge number of assets that can be used for trading, customers can complete all their transactions through one trading account. On the conditions of the upcoming operation, users are warned in advance, that is, there will be no problems with regard to If necessary, the trader can contact the personal manager, who will prepare a detailed report on all transactions during the specified period. The broker’s activities are controlled by the MFSA (Malta Financial Services Authority). But if this organization does not inspire confidence in you, then the mandatory observance of the EU MiFID directive will convince even the most demanding traders that the broker’s activities are really monitored and checked regularly. For experienced traders, the arguments listed are enough to register a login on Exante and start trading. The issue of training newcomers to the resource in question is not affected. Provides a section “Questions and Answers”, a description of the unique technologies of the company, as well as assistance around the clock support service and personal managers. 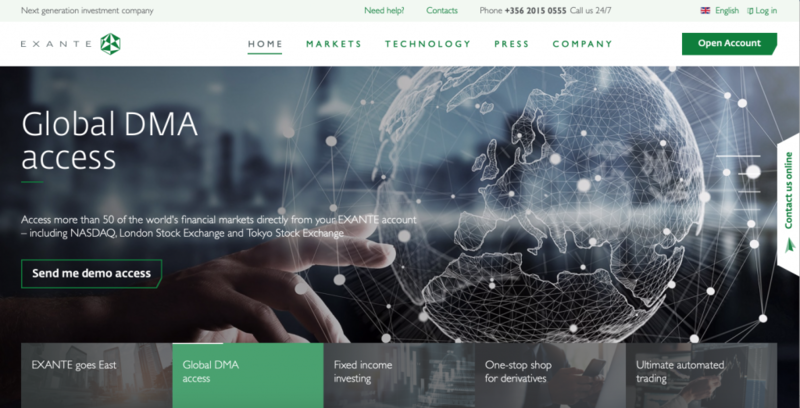 But the demo account presented on Exante allows you to explore almost all the possibilities of a broker, check your own strategies and make sure that the advertised technologies really work. The broker in question is more focused on working with corporate clients, but does not deny registration to ordinary individuals. Perhaps this is why there is much less emotional feedback about this participant in the global financial market than in the case of ordinary forex brokers. The main evidence (supplementing the facts already listed) that the company does not belong to the category of one-day firms or complex fraudulent projects is its wide popularity and the presence of a large number of representative offices in Europe and Asia. Many of the reviews that have been prepared on Exante have seen an attempt by the authors to compare this company with numerous brokers who actually stand at least a step lower. What is the deepest mistake. On the one hand, wide popularity, direct access to most markets and permission to act as an issuer of securities, and on the other, a small Internet project, whose financial turnover is ten times less than that of Exante. This moment must be remembered, studying the main characteristics of the presented trading platform. 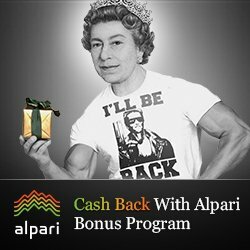 ● Minimum deposit – 10/50 thousand euros (for individuals / companies). ● Account currencies – Euro, US Dollar and British Pound. ● Minimum transaction amount – none. ● Commission for withdrawal of funds – 30 euros. ● Fines for inactivity – not provided. ● Commission for transactions – set individually. Among all the negative comments that were prepared about Exante, comments on how to deposit / withdraw funds take the lead. The fact is that the official website of the broker indicates that these operations can only be performed using a bank transfer. Other options are not allowed. The administration of the resource argues that the electronic payment systems do not work with such large amounts. For carrying out financial and trading operations on the company’s website there are: stocks, ETFs, currencies, options, futures, bonds, cryptocurrencies, funds and precious metals. It should be borne in mind that the broker has direct access to financial markets, which has a positive effect on the income of its clients.